Soliman’s honoring came as she placed among three finalists for the prize who were selected following a comprehensive review of 244 nominations received from 70 countries. As a co-founder and current trustee of CEWLA, Soliman has operated numerous campaigns to to raise awareness of women’s issues in Egypt and to promote gender equality through legislative reform over the past 25 years. At a ceremony held on September 28 at the University of British Columbia, Khadija Ismayilova, an Azerbaijani anti-corruption investigative journalist, was announced the CAD $100,000 Allard Prize winner for 2017. 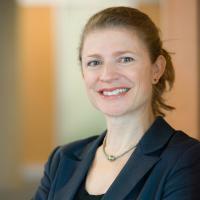 The annual award, which is administered by the Peter A. Allard School of Law at the University of British Columbia, is decided by a committee composed of representatives of both the Allard School of Law and from the private sector. Finalists include Brazil’s anti-corruption Lava Jato (Car Wash) Task Force which has successfully prosecuted and found guilty more than 100 businessmen and politicians, including former President Lula, and Egyptian human rights lawyer Azza Solimon. Can’t make it to see the #AllardPrize for International Integrity Award Ceremony in person? Tune in at 6.30pm PST on September 28 to watch the live stream here. There are three amazing finalists — a courageous rights defender (Egyptian human rights lawyer Azza Soliman), a tenacious anti-corruptoin prosecutorial team (Brazil’s Lava Jato/Car Wash), and an indomitable investigative journalist. Lawyer and Women’s Rights Defender Azza Soliman is a finalist for the 2017 Allard Prize for International Integrity. 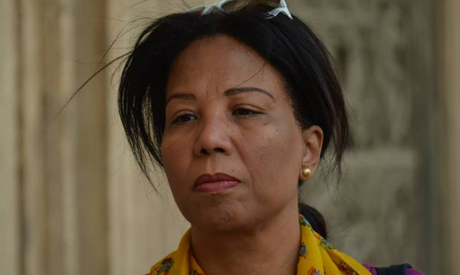 Soliman is a co-founder of the Center for Egyptian Women’s Legal Assistance and has dedicated her life to fighting corruption and injustice faced by Egyptian women in both the private sphere and the judicial system. She has worked to support women’s access to justice by using progressive interpretations of religion to influence legislation and combat the monopoly and corruption of religious institutions. On September 28th the dream team bringing down corruption in Brazil will be in Vancouver as finalists for the Allard Prize for International Integrity. This Brazilian anti-corruption prosecution task force has worked to prosecute some of the most powerful Brazilian political leaders, including the popular former president, Luiz Inacio Lula da Silva, who was convicted of corruption and money laundering. THE Peter A. Allard School of Law at the University of British Columbia in Vancouver, Canada has announced the three finalists for the 2017 Allard Prize for International Integrity. Created and funded by alumnus Mr. Peter A. Allard, Q.C., the C$100,000 biennial prize is one of the largest awards in the world recognizing efforts to combat corruption and promote human rights. 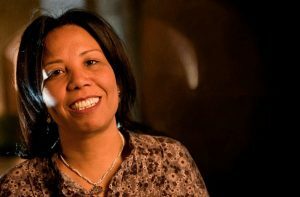 The winner of the Allard Prize will be announced at a special ceremony at the University of British Columbia’s Old Auditorium on September 28 at 6:30 p.m.
Azza Soliman – A renowned women’s rights lawyer, Azza Soliman is the co-founder of the Center for Egyptian Women’s Legal Assistance (CEWLA). She has dedicated her life to fighting corruption and injustice faced by Egyptian women in both the private sphere and the judicial system. Soliman is one of the first liberal lawyers to work with Islamic groups, having been in the field of human rights and development for more than 12 years. The Egyptian government has curtailed Soliman’s freedom by freezing her private assets and banning her from traveling outside Egypt.